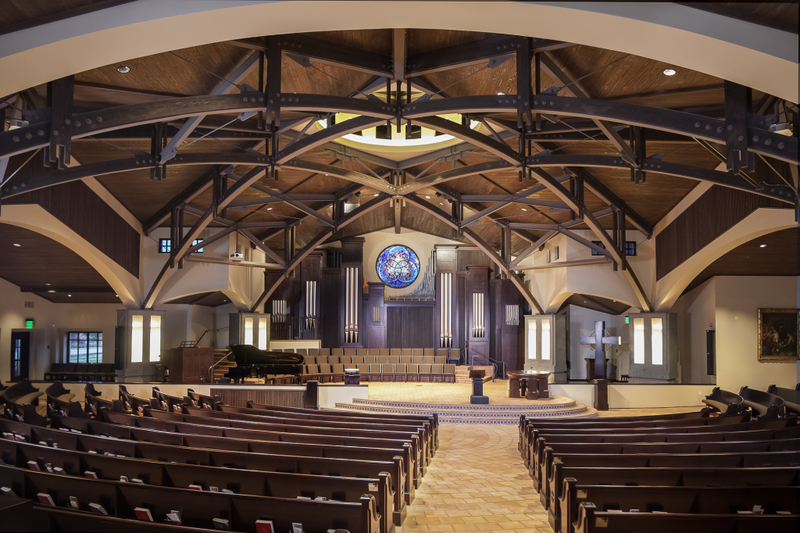 The structural complexity and creativity of exposed steel trusses crisscrossing the sanctuary of a Rancho Santa Fe church earned a People’s Choice award for structural engineers Josephson Werdowatz & Associates, Inc., and project architects domusstudio architecture. The 2011 Excellence in Structural Engineering awards were announced during the Structural Engineers Association of San Diego dinner meeting in Mission Valley on June 21. Following a vote of the membership, the Village Presbyterian Church of Rancho Santa Fe received the People’s Choice award. “We were the smallest building in the running for an award, but what I think members liked best about our project is the creative mix of architecture and structural engineering that is especially visible in the dramatic sanctuary,” said Dan Werdowatz, principal structural engineer. The project next will be submitted for consideration in the 2011 Structural Engineers Association of California awards event. The project was constructed by ROEL Construction Company. Last month the Village Church received a 2011 Lily Award from the Rancho Santa Fe Association. Presented May 12, the Lily Award is intended to highlight work that embodies the high standard of architecture and landscape design envisioned by Rancho Santa Fe’s first architect and Building Commissioner Lilian Rice. Founded in 1956, and with more than 1,200 members in its congregation today, the Village Community Presbyterian Church is a longtime pillar in the Rancho Santa Fe area. 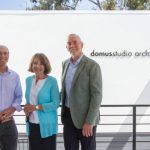 Founded in 1986 as Dominy + Associates, domusstudio architecture is a San Diego architectural design firm specializing in sacred facilities, fire stations, educational buildings, senior housing and custom residential projects. For more information about projects and services, call 619-692-9393 or visit domusstudio.com. 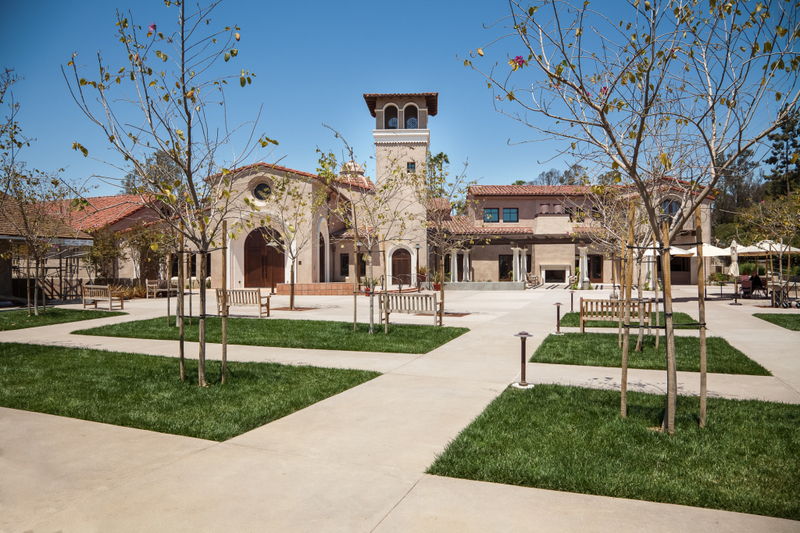 The Village Community Presbyterian Church in Rancho Santa Fe, designed by church architecture specialists domusstudio architecture of San Diego, has been honored with a 2011 Lily Award from the Rancho Santa Fe Association. Presented May 12 at the association’s annual meeting at the Rancho Santa Fe Garden Club, the Lily Award is intended to highlight work that embodies the high standard of architecture and landscape design envisioned by Rancho Santa Fe’s first architect and Building Commissioner Lilian Rice. Senior Associate David Keitel accepted the award for domusstudio architecture, which was founded in 1986 as Dominy + Associates Architects. The Village Community Presbyterian Church is a longtime pillar in the Rancho Santa Fe area, founded in 1956 and with more than 1,200 members in its congregation. Dedicated in May 2010, after nearly two years of construction and remodeling, the Village Church today is distinguished by hand-made Spanish tile roofing and a 5-foot 6-inch cross, which sits atop a 42-foot dome adjacent to a 45-foot tile-roofed tower. 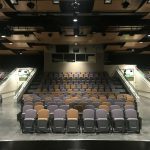 A new courtyard setting is at the heart of the church campus, and the new sanctuary offers seating for nearly 600, with improved visibility and audibility from all areas. 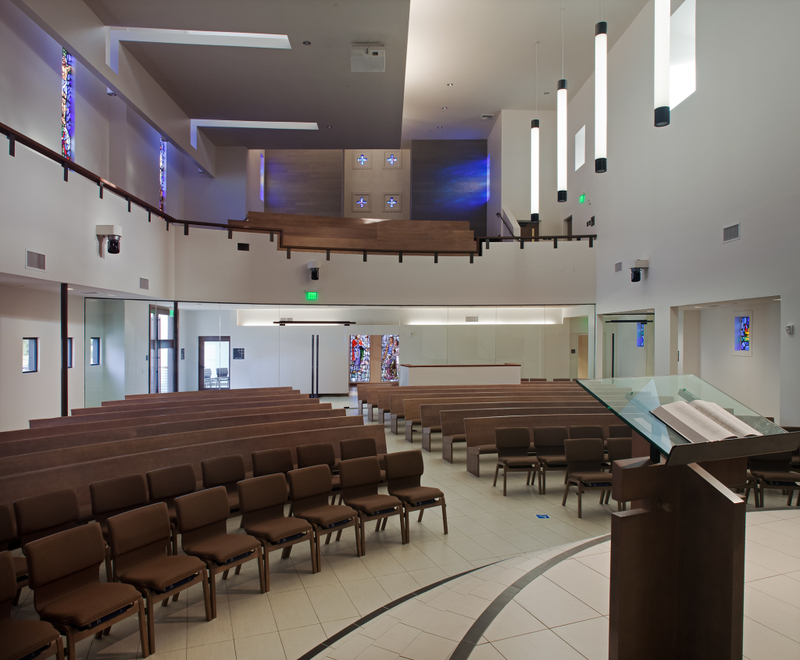 In addition to its new sanctuary, Village Church design and construction also includes new offices for church staff, new Sunday school classrooms and a new playground. Throughout construction, the Rancho Santa Fe Association never received a phone call of complaint from the community. 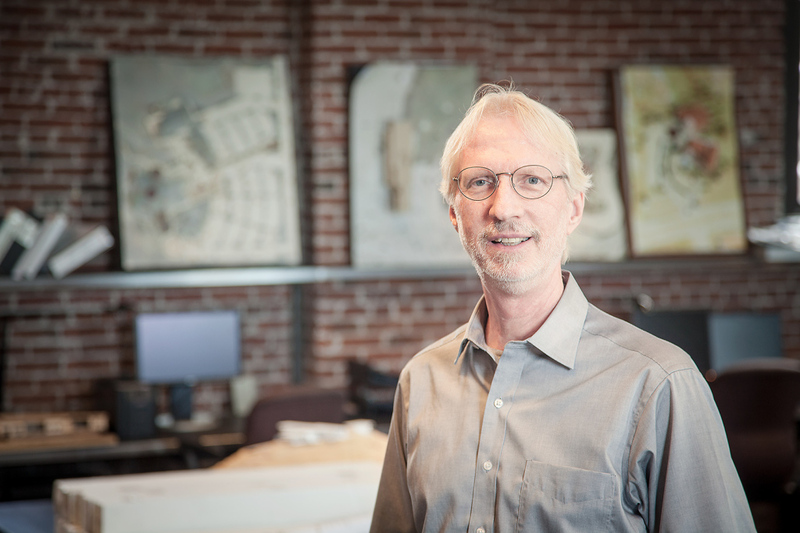 For his continuing industry-related volunteerism over the past two decades, Holtan, a principal at San Diego’s domusstudio architecture, recently received an award from the California Architects Board, one of only three awarded in the state. Holtan received the 2010 Octavius Morgan Distinguished Service Award, which recognizes individuals who have significantly contributed to the Board’s mission through their volunteerism over a period of time. Announced in the Spring 2011 newsletter, the award is named after the first president of the California Architects Board. According to CAB, Holtan has contributed more than 1,000 hours towards the California Supplement Examination (CSE), and served as a CSE commissioner for more than 20 years and as a master commissioner since 1991. He served on multiple CSE-related workshops including the CSE commissioner reviews, job analysis, test plan and standard setting. He has recruited many fellow architects to participate in the CSE administrations, new licensees for the pilot test, and new licensees to assist with developing the computer-based CSE. 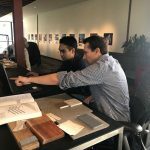 Holtan has been with domusstudio architecture, founded in 1986 as Dominy + Associates Architects, since 1993. Current and recent projects include: the Parish Center at St. Elizabeth Seton Catholic Church in Carlsbad and Ascension Parish Center in Tierra Santa; several fire stations in the City of Encinitas and one in La Quinta; and several San Diego Unified School District modernization projects funded in part by Proposition S.
Holtan graduated with degrees in both Architecture and Environmental Design from the University of Minnesota.